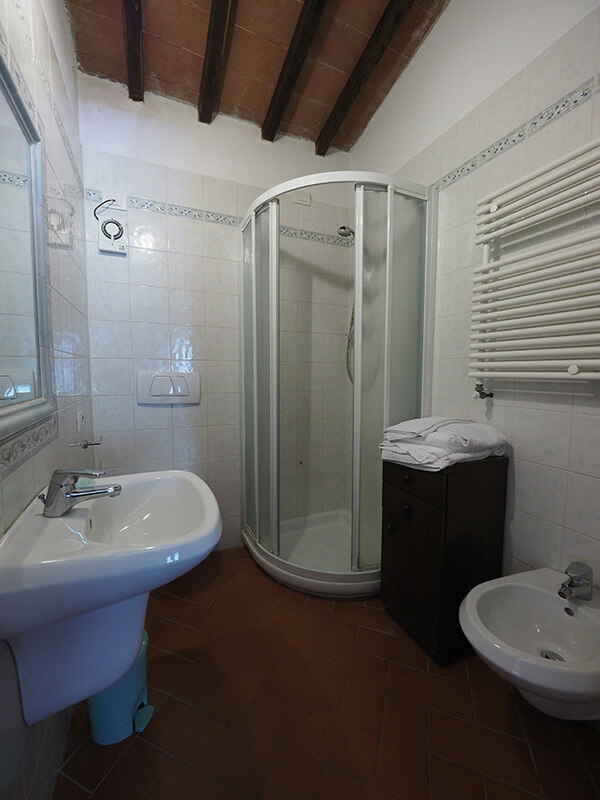 Deluxe vacation rental in Tuscany near the wonderful cities of San Gimignano and Siena. Three large and charming bedrooms each with an en suite bathroom. Fully equipped kitchen refrigerator with freezer and dishwasher. Common laundry room with washing machine. Over 30 hectares of shared garden space including pool and tennis court. Ideal position for day trips to major historic attractions or a quick trip to the Tuscan coast. Homemade Italian meals and maid service are available upon request. Two bedrooms are located on the first floor and one on the ground floor, each with its own private bathroom. 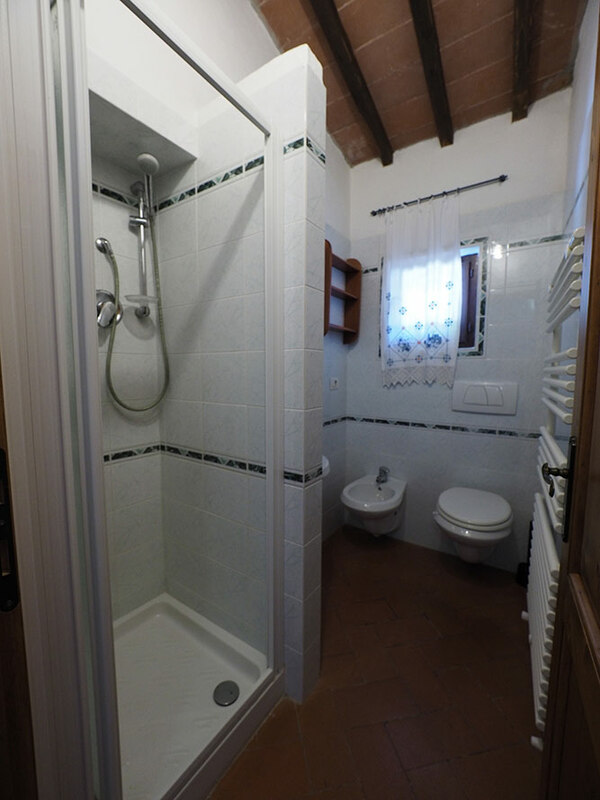 Each bathroom is furnished with a sink, WC, bidet and shower. The romantic use of the beautiful architectural structure makes this villa stand out from the others. The kitchen is fully equipped and makes an excellent setting for those will to try their hand at some of the local specialties – or for those who simply wish to taste the local vineyards. San Gimignano is very close-by for evening meals and walks along the medieval streets. But don't miss out on places like Siena, Volterra, Montespertoli and Chianti. This restructured vacation rental in Tuscany dates back to the 1600’s and makes up a larger estate for up to a total of 20 persons - please look at Glicine, Acazium and Lilum, three other villas located in the same estate. An ideal location for a family reunion or a group of friends celebrating a wedding or fun get together. The large park area which surrounds the villa is perfect for hiking, biking, strolls in which to admire the local landscape, playing tennis and cooling off in the large pool. A private lake is part of the property, it can be used for swimming and fishing. The owner declines any responsibility. Beautiful scenery , great views. In Volterra - we had a lovely meal , friendly service at a restaurant with an etruschan well under the floor - can't remenber its name . ( shut friday - sadly , as we went back for our last night and had a dreadful meal at "Da peppino " opposite) Boboli bread shop in San gimigiano very good good meal at Bel soggiorno ( expensive ) also the terrace wall restaurant !